The Liao Chiung-chih Taiwanese Opera Foundation for Culture and Education was established in 1999 by Ms. Liao Chiung-chih who has spared no effort for the preservation of the country’s folk art. 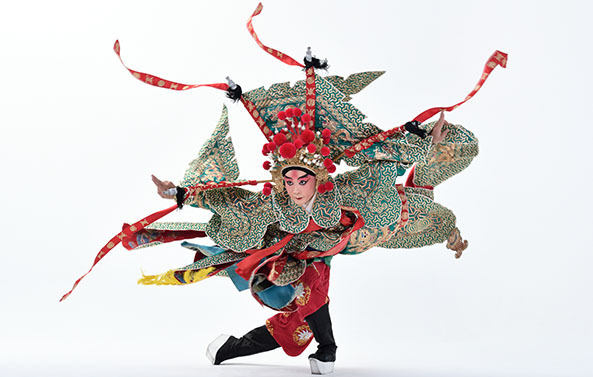 With its objectives of “preserving the performance art of Taiwanese Opera, promoting Taiwanese Opera, cultivating talented actors for Taiwanese Opera, as well as raising the artistic standards of Taiwanese Opera”, the foundation sponsors a wide range of projects commissioned by various cultural institutions both inside and outside the country in order to preserve and promote Taiwanese Opera. One of the projects, the “Project of Recording and Preserving Taiwanese Opera by Liao Chiung-chih”, was commissioned by the National Center for Traditional Arts and has preserved five classic operatic works, including Chen San and Wu-niang, Wang Kuei’s Betrayal of Guei-Ying (The opera was composed by Ms. Liao Chiung-chih, Artistic Director of the Shintrun Taiwanese Opera Troupe that performs the opera. ), Shan-bo and Ying-tai, The Story of Shi-xi, and Wang Bao-chuan, as well as an old opera full of off-stage devices, The Burning of Red Lotus Temple. 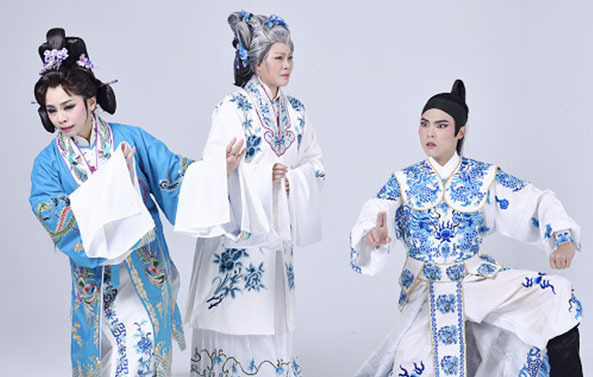 The secret of The Empire in Song Dynasty is widely known not only a traditional Taiwanese opera but also a classic performance among all kinds of traditional drama. The story background was set to release the true identity of the Emperor RenZong of Song dynasty. How two of Emperor ZhenZong’s adored noble ladies Liu and Li strive for the power and position was finally led to a great conspiracy among Song dynasty. Lui sets a trap for Li and Li ends her days in prison for twenty years. Owing to the Bao, Zheng who was noted for detail-oriented investigation in Longtu Pavilion, it ends up coming up in a wash.
Born in 1990. 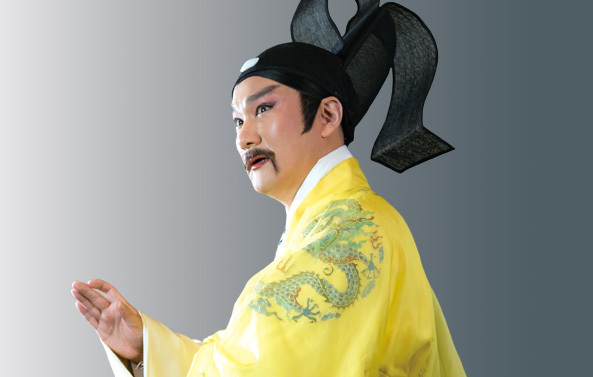 Master in XiaoSheng (young male role). Graduated from National Taiwan College of Performing Arts (TCPA), majored in Department of Taiwanese Folk Opera.JIAGN started her interests in Taiwanese Folk Opera in the early age. Since she was in elementary school, she has majored in Taiwanese Folk Opera and has been well trained as a master in playing role as a gender of female. Her performance in Taiwanese Folk Opera really make lots of people impressed. 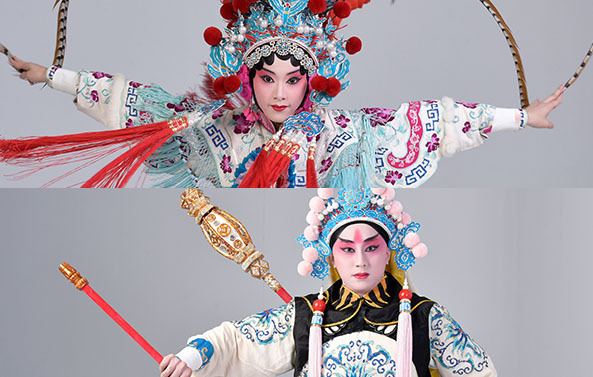 Operas that she has participated including: Inside the Forbidden City, The Burning of the Red Lotus Temple, Wang Kuei's Betrayal of Guei-ying by the Liao Chiung-chih Taiwanese Opera Foundation, and TIE MIAN QING, HAN YUE by the XIN CHUAN Taiwanese opera. Also, Guoguang Opera Group, Heluo Taiwanese Folk Opera, and Taiwanese Folk Opera. Born in 1996. Master in Dan (young or mid-aged female character type). Graduate from National Taiwan College of Performing Arts (TCPA), majored in Department of Taiwanese Folk Opera. Since she was a child, she has learned local folk in Yilan Taiwan Theater Museum. Graduated from NTCPA, she can not only act vividly on stage but also has beautiful tone over singing the song. Operas that she has participated including: SHE XI JI, BI YU ZAN, SHAN BO YING TAI by the Liao Chiung-chih Taiwanese Opera Foundation and WU NU BAI SHOU, SHE XI JI by the XIN CHUAN Taiwanese opera. Also, Ming Hwa Yuan art and culture group and MING XIA Taiwanese Opera. Today the number of：73人 / The total number of visitors：131,035人 / Last Updated：2019/04/19.